If you are searching for a FIAT dealership in Detroit MI, Ann Arbor, MI Royal Oak MI or the Novi MI areas, visit Golling FIAT in Bloomfield Hills and Birmingham, MI today! We carry all the latest 2019 FIAT models you have been looking for, and our expert sales staff will help you get behind the perfect vehicle for your lifestyle. Golling FIAT is one of the leading FIAT dealerships serving the metro Detroit area, offering excellent customer service, a friendly environment, attractive financing options, and great cars! Pick up the phone and call or stop in and say 'Hi' and see our inventory of 2019 FIAT vehicles! Here in Bloomfield Hills, MI, we have a great selection of new 2019 FIAT models, including the FIAT 500, 500L, 500 Abarth and the FIAT 124 Spider for sale near Royal Oak MI, Novi MI and Ann Arbor, MI. Search our inventory online where you will be sure to find a FIAT that suits your needs.With the help of our experienced and dedicated team to guide you throughout the entire purchasing process, we know you will drive home in a new car you love. Searching for a used car in metro Detroit? Find an incredible used car for sale here at Golling FIAT and you could save thousands. With a huge selection of high-quality vehicles we are certain that we can locate a used car that suits your taste. Our greater area Detroit used car dealership has cars, trucks, SUVs and vans by many of today's top automakers in addition to FIAT. If you have not been able to locate a specific new or used car in the area, we are at your service! Complete our no-obligation CarFinder form and we will alert you by email when a matching vehicle arrives at our Detroit FIAT dealership. Are you looking for a car loan or FIAT lease? We can help! The Golling FIAT finance team is here to assist you through the entire car loan process at our auto finance center serving Detroit, Ann Arbor, and beyond! Our skilled finance team will work hard to find an auto loan or FIAT lease that works for you! Start the approval process right now by filling out our secure car loan application online! 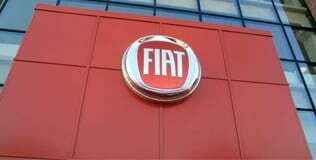 When you are in need of FIAT car repair or auto service near Detroit Golling FIAT is the place to go. We offer quality auto repair services in Bloomfield Hills MI and our expert team of highly trained auto mechanics are ready to take care of your FIAT or other make vehicle today. Drivers choose our service center because we perform all repairs quickly and accurately, allowing you to get back on the road quickly. For all your at home auto repairs, we also sell certified car parts in metro Detroit. Our fully stocked FIAT auto parts department can help you get you the car parts you need for your FIAT 500, 500 Lounge, 500 Sport, 500 Pop, 500C, 124 Spider, or other models. Dress up your new FIAT with auto accessories from our Detroit auto accessories department too. To find out more about Golling FIAT in greater Detroit, take a look at our About Us page and follow Directions to visit our dealership.